Have a look around and if you have any question or comment feel free to contact us! Taking a tour of this site will provide an informative and enlightening experience, as many people are still not aware you can personalize your vehicle and many other items of value using our innovative service. Add Beautiful Genuine 24kt GOLD To Practically Anything! 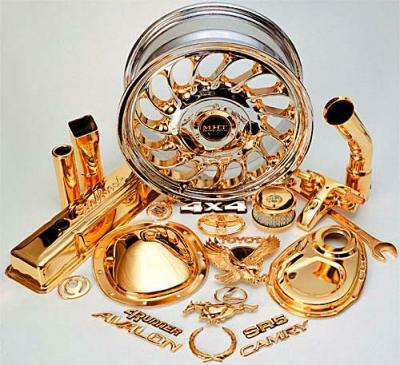 Call Us And We Shall Go To You And Gold Plate On Site! Free Estimates with appointments to accommodate you! 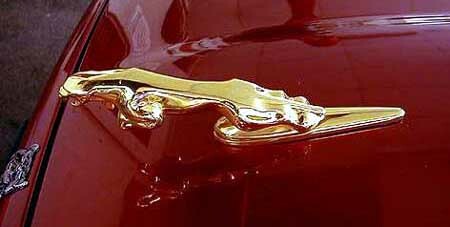 Gift your car a set of glittering gold emblems and make it stand apart from the crowd. All work, and no play?